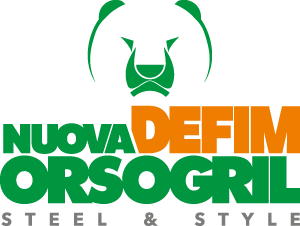 The NO-PANIC ANTIVERTIGO GRATING is a patented exclusive system by Nuova Defim Orsogril. 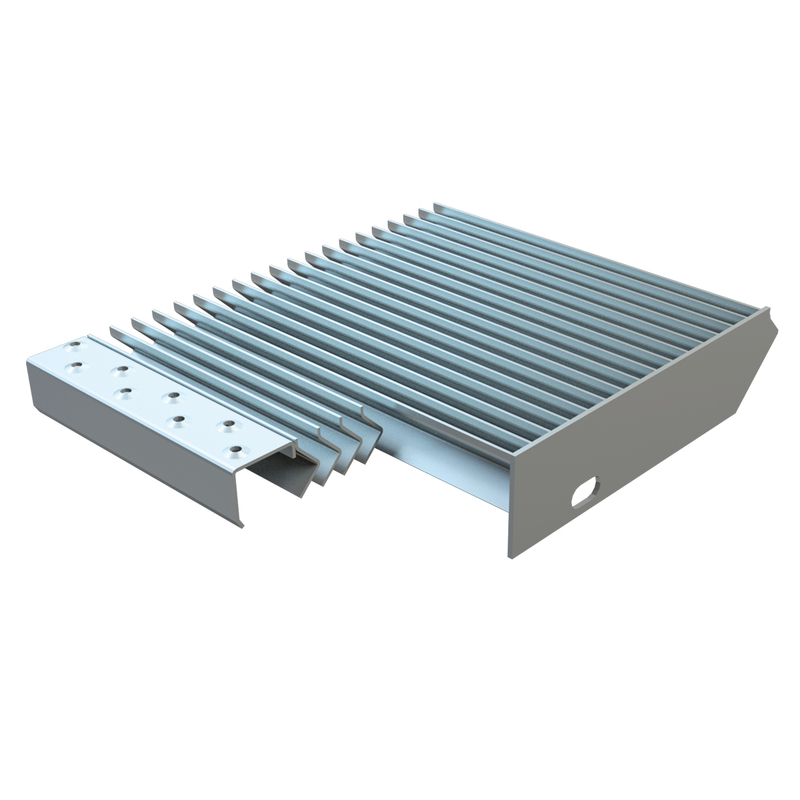 The special shaped profiles provide total screening down, while keeping the typical airflow grating characteristics. The step designed using this grating type complies with current anti-skid norms; ANTIVERTIGO landings and walkways grating are also available upon request. Landing. For landings composition, the system foresee a starting panel provided with “nosing” and a variable number of interlocked panels to reach the desired length. The panels are joined together by a "dovetail" system between the frames. This solution grants the visual continuity between adjacent panels, hiding the junction points. Grating panel provided with a special front profile called “nosing” and two perforated side plates for bolting it to the steel stair supports. and technical table of this product. For landings composition, the system foresee a starting panel provided with “nosing” and a variable number of interlocked panels to reach the desired length. The panels are joined together by a "dovetail" system between the frames. This solution grants the visual continuity between adjacent panels, hiding the junction points. Do you need information or technical feature info?